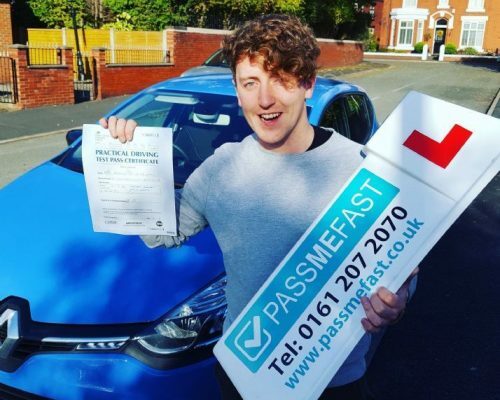 Here at PassMeFast we’ve helped numerous people gain their licence and get out on the open road as qualified drivers. Even though we’ve been busy preparing our latest launch—hello Lancashire!—we thought it would be nice to take the time to scroll through our latest pass photos and pick out a few favourites. No sign of any horror stories here, just lots of beaming faces! With multiple learners getting the green light every week, it’s sadly not possible to give a shout-out to everyone who passed their test this month. We had a good think and managed to narrow it down to 5 top notch drivers. 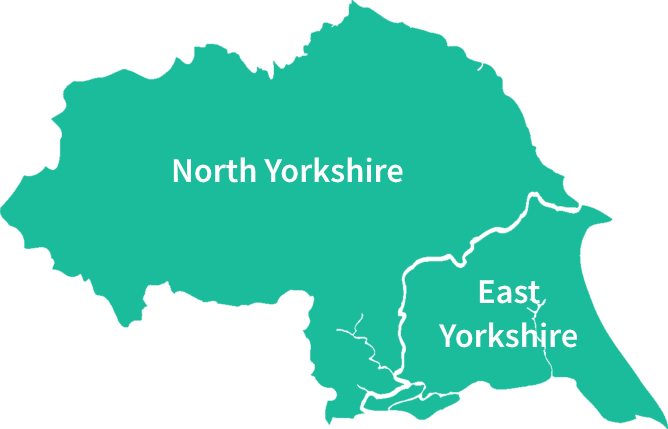 You can use their driving journeys as inspiration for your own, or simply be happy for their success. Either way, enjoy! Not one to give up, Shannon thought maybe an intensive driving course was the way to go. Turns out she was right! In only 25 hours with one of our instructors, Shannon was mastering the roads and taking on those roundabouts like a pro. To make the whole experience extra special, she passed her test the day after her 21st birthday. What a way to start official adulthood! Congratulations Shannon and we hope you had a belting birthday! Some people just don’t mess around when it comes to getting their hands on that all-important pass certificate. Take Charles, for instance. He took a 10 hour course with us and became a fully qualified driver on March 16th. 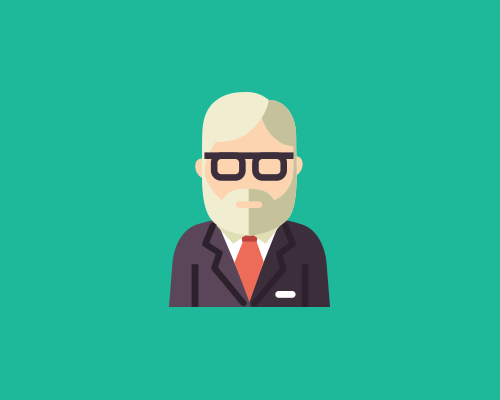 According to Charles, a supportive instructor makes all the difference. Couldn’t agree more—congratulations Charles! 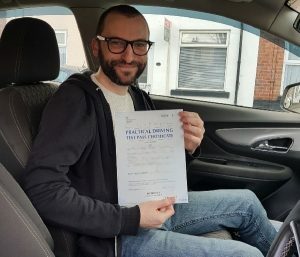 Forget what you know about average attempts to pass the driving test, Stephen only needed a 35 hour course and one shot at it! 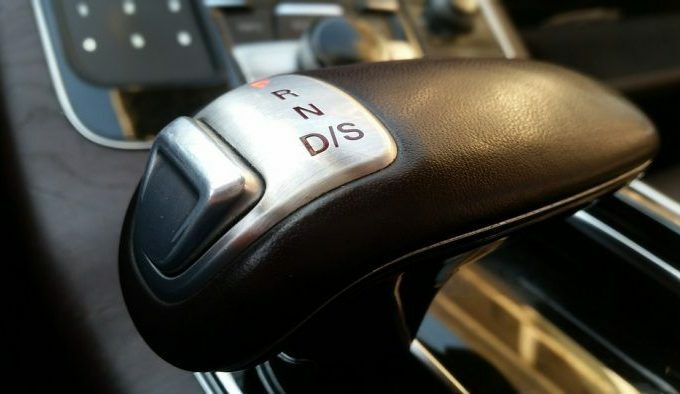 The biggest issue that can hamper the learning experience for new drivers are those dreaded nerves. 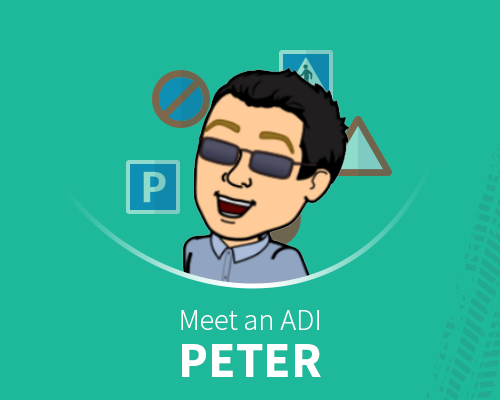 Stephen says that having someone on hand (all of our learners get a dedicated booking agent) to answer his queries, “set my mind at ease“. 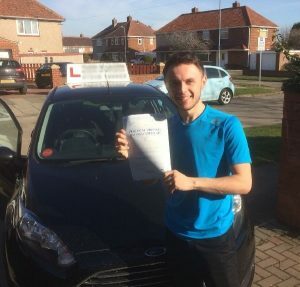 With any worries taken care of, Stephen was able to keep a cool head and focus on passing his test. And that’s exactly what he did—first time no less! His face says it all, really. Well done Stephen! 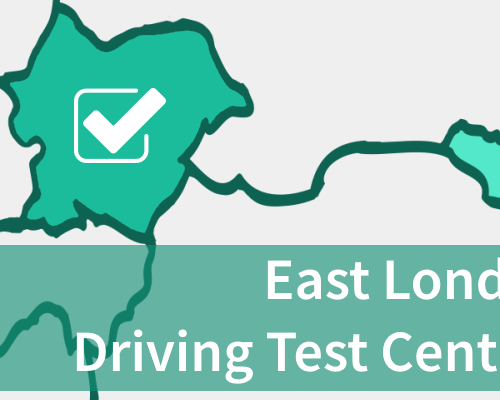 When it comes to the driving test, a section that many people tend to dwell on is the manoeuvres. And with good reason. Whether you’re asked to parallel park, pull up on the right, or bay park, the examiner is testing to see that you can make the necessary observations while maintaining excellent control of the car. It might sound like a lot to learn, but with good technique and plenty of practice, manoeuvres will become second nature. Just ask Zoreesha—her instructor gave her so many great pointers that she had those techniques nailed. When it came to test day, she breezed through her manoeuvres without error. 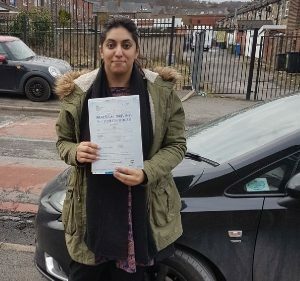 The rest of the test must have been a doddle too, because she recently joined our long list of qualified drivers. Bravo Zoreesha! 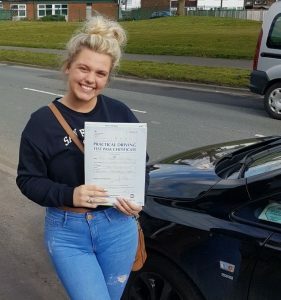 Not everyone’s journey to passing their test is straight and simple. Perhaps you struggle to find an instructor who’s the right fit, or maybe you just don’t have the time and energy to give it your all. In these common scenarios, sometimes it just takes a little bit of that PassMeFast mentality to get someone on the right track! 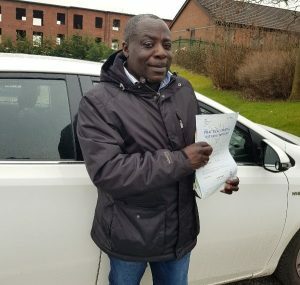 Robert had been taking driving lessons on and off for two years, but never really felt confident enough to take the test. Once he switched to PassMeFast, however, the wheels really started turning! He opted for a 5 hour course with one of our instructors. In just two days, Robert passed his test with only 3 minors! It’s amazing what can happen when you have a supportive instructor and a great attitude. What a month it’s been! 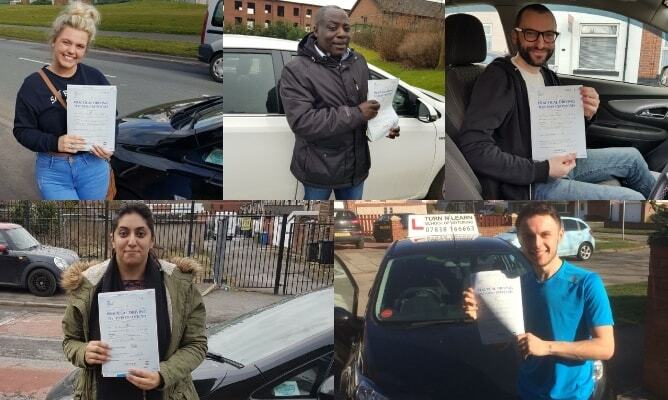 Congratulations to everyone who passed their test this March. We couldn’t be more proud and we wish you lots of good luck when hitting the open road this spring. 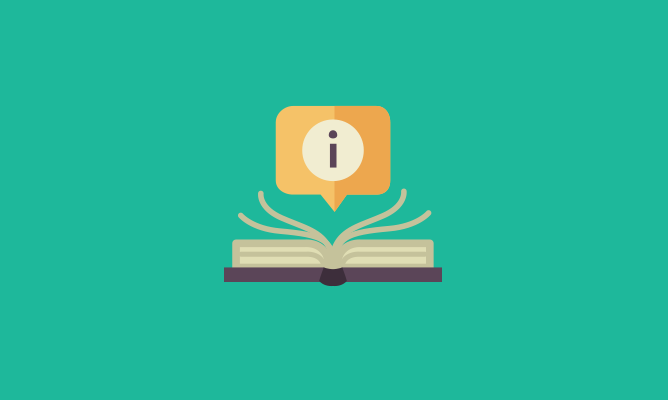 If you feel like you’re not quite done with the learning process, remember it’s never too late to opt for a pass plus course. Every little helps! To start your driving journey today check out our range of course options or contact our team on 0333 123 4949. Who knows, maybe you could end up on our next list of favourite pass photos! Plus, be sure to check out our March news roundup for all the latest news!